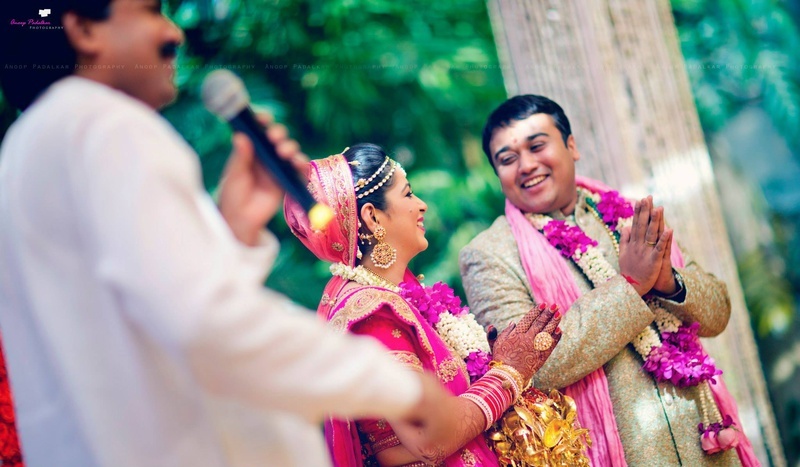 A wedding ceremony held under the open sky, in a lush green space with happy, smiling faces all around. 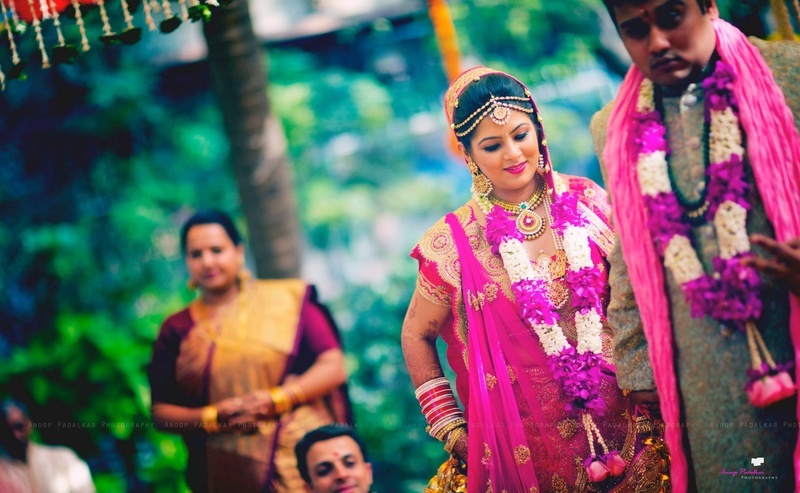 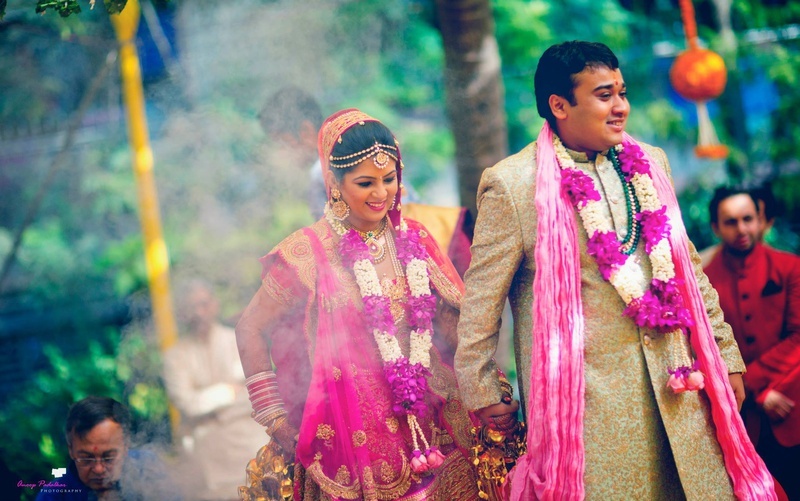 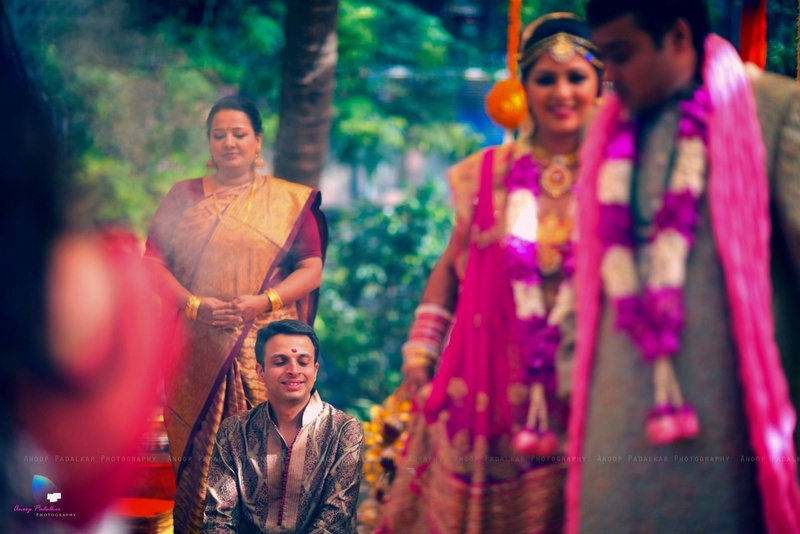 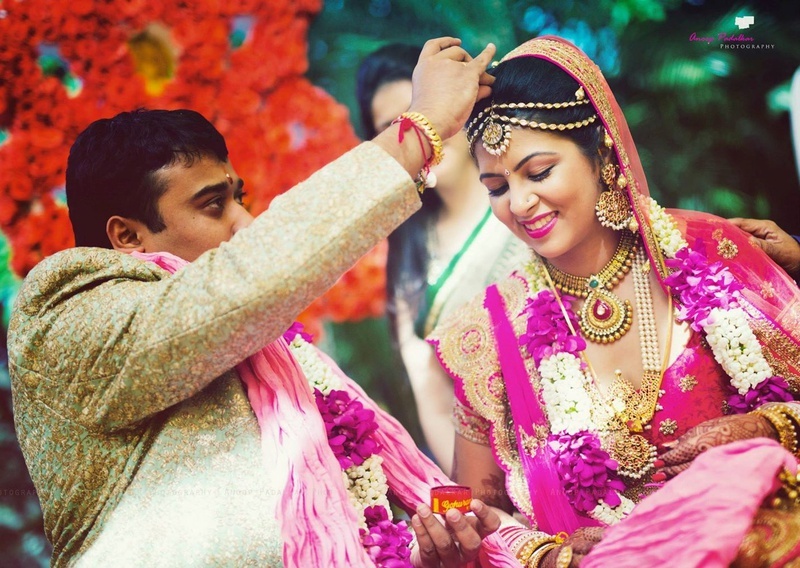 Karishma made a beautiful bride in her fuchsia pink lehenga choli. 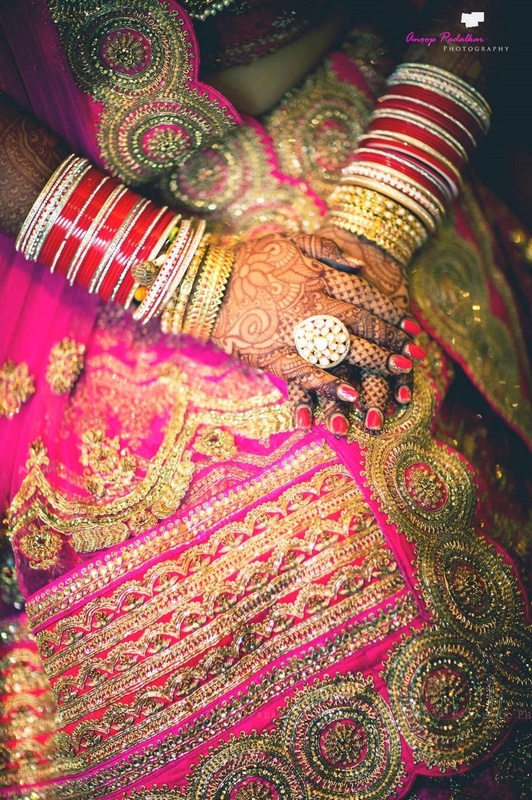 Her entire outfit was intricately embellished with gold sequins and crystals - she truly looked like royalty! 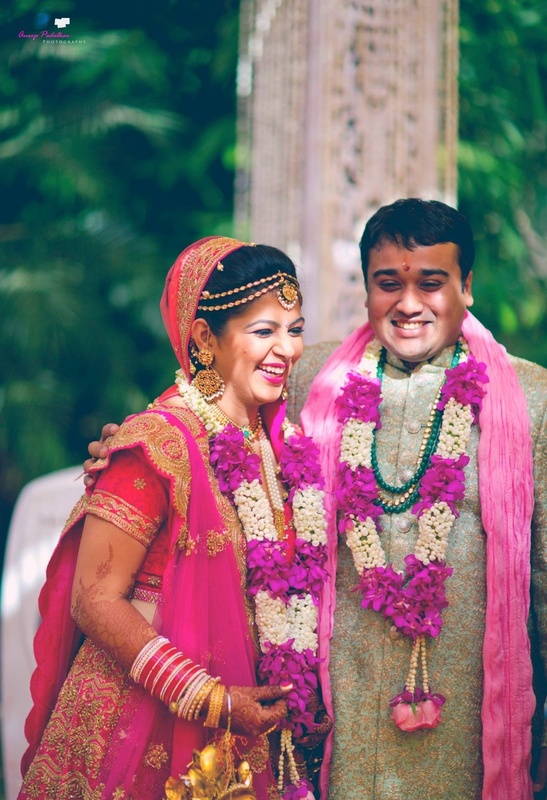 The handsome groom, Amol, did not choose the usual beige and red sherwani, so he opted to go all out on the style quotient in his pastel green sherwani with stunning damask textures in gold, contrasting Karishma’s outfit just perfectly. 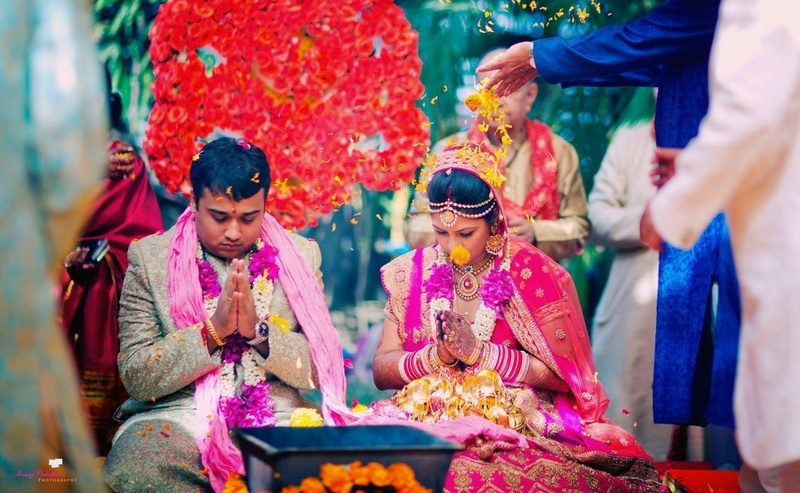 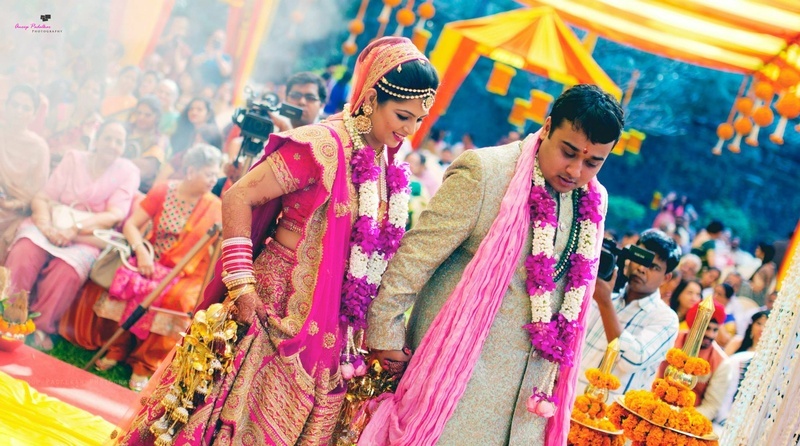 The wedding mandap was decorated in hues of yellow and orange with an abundance of marigold flowers and delicate strings of jasmine strung all around. 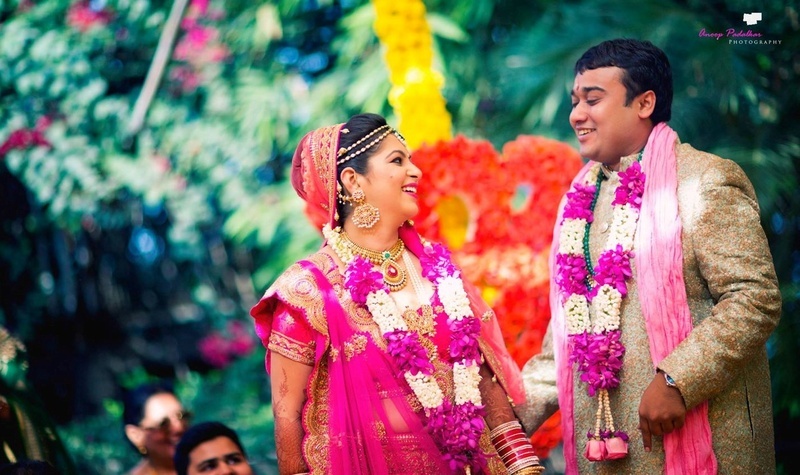 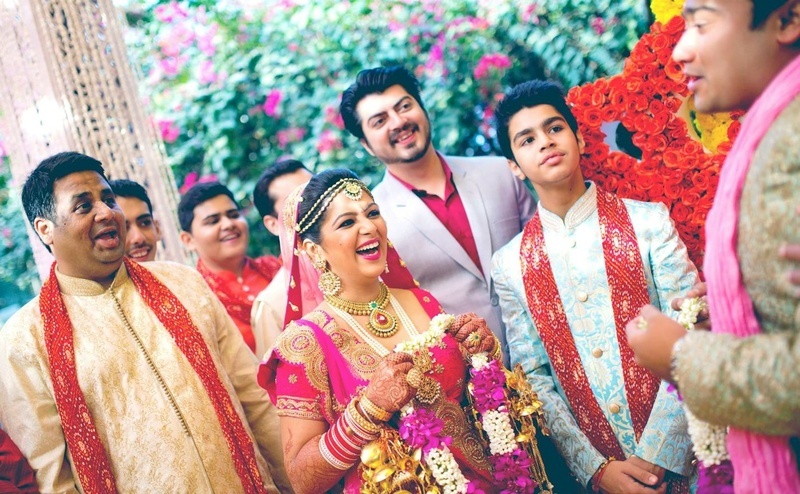 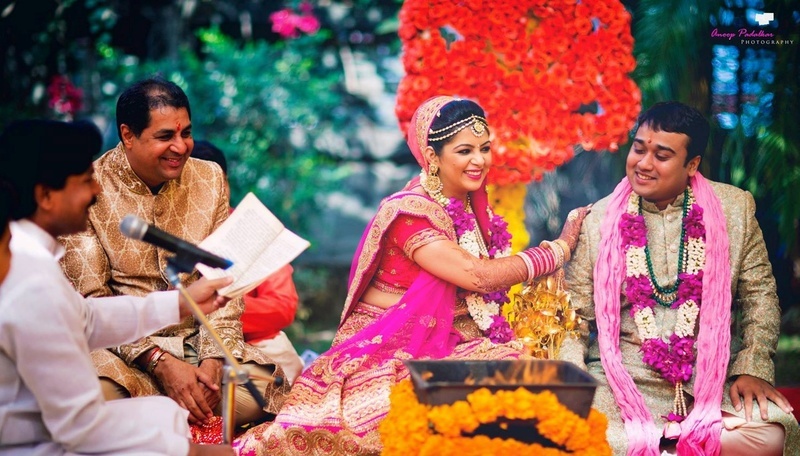 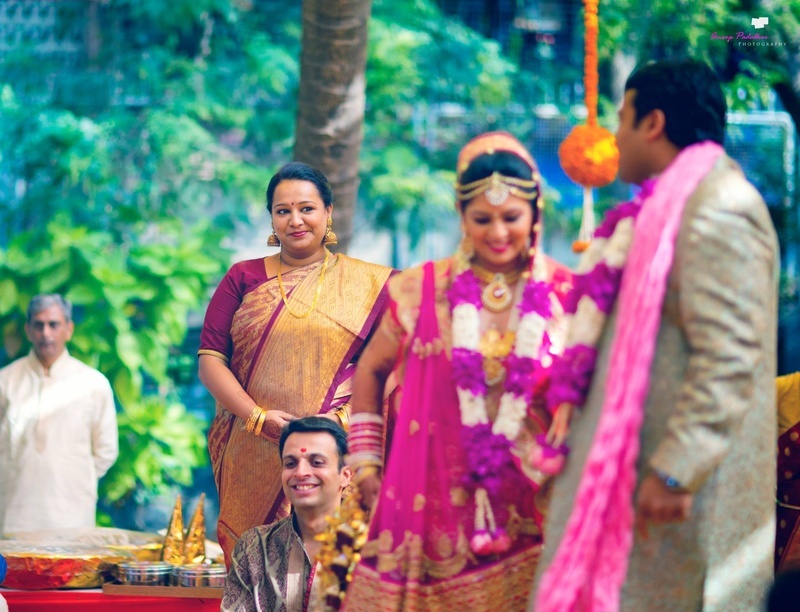 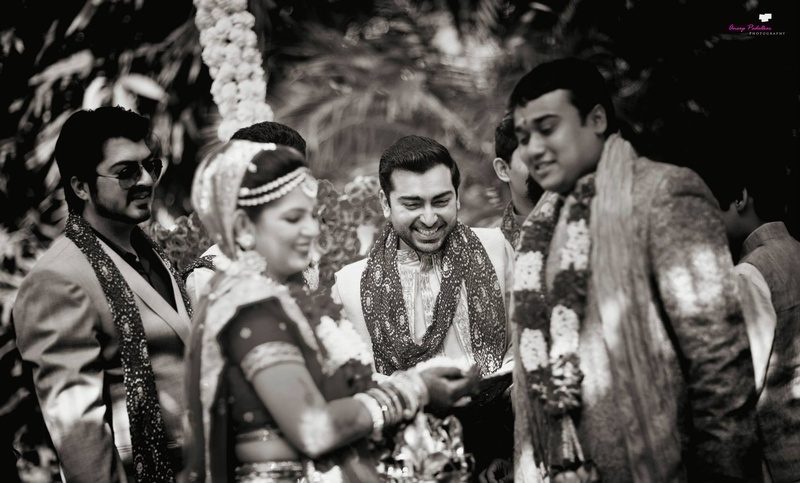 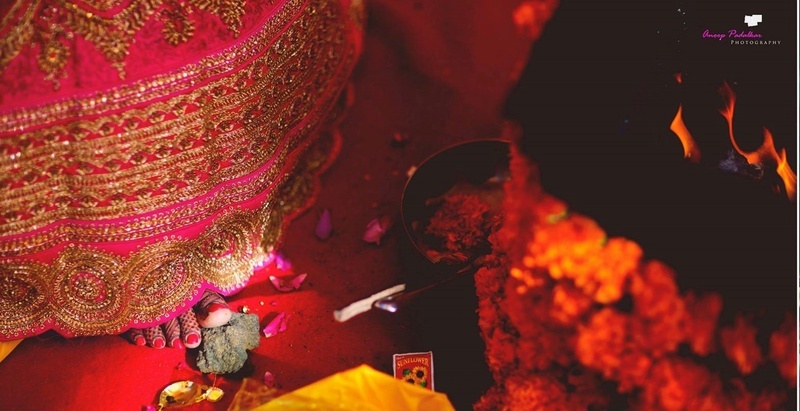 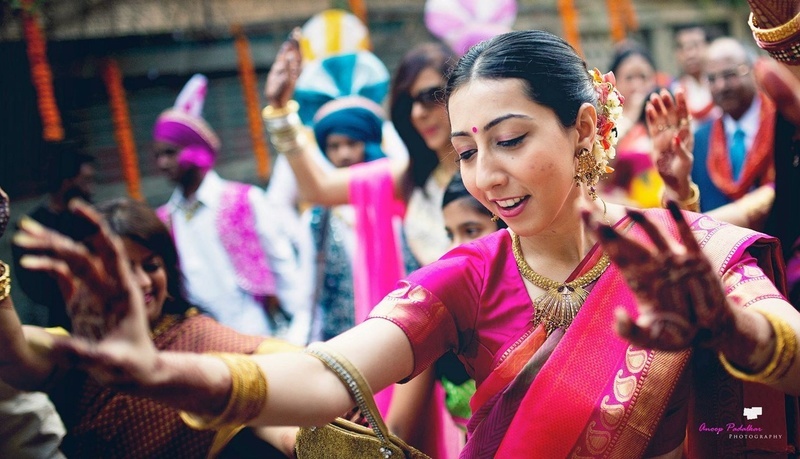 What we absolutely loved about this traditional, colourful wedding affair was Karishma's stunning jewellery! 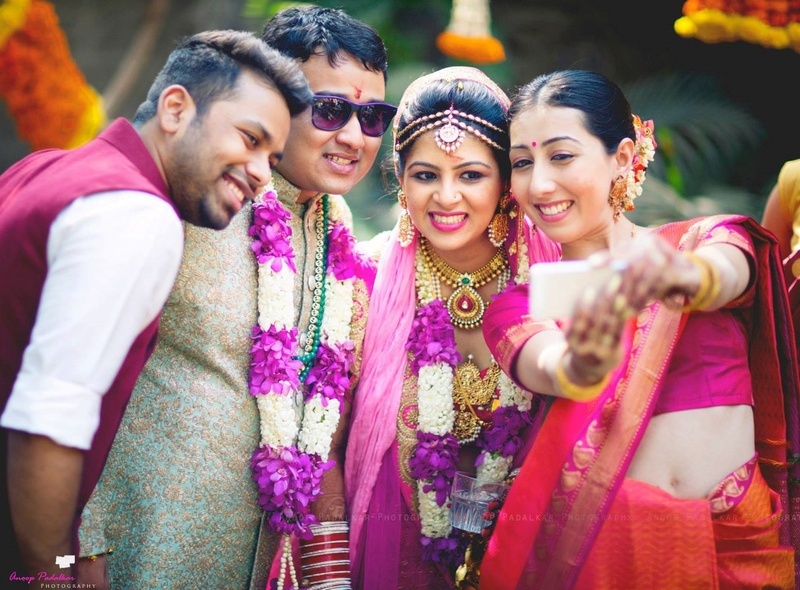 Her adornments were a perfect fusion of contemporary style and ethnicity - her multi-strand maathapatti, necklace and (our personal favourite) polka-embedded cocktail ring! 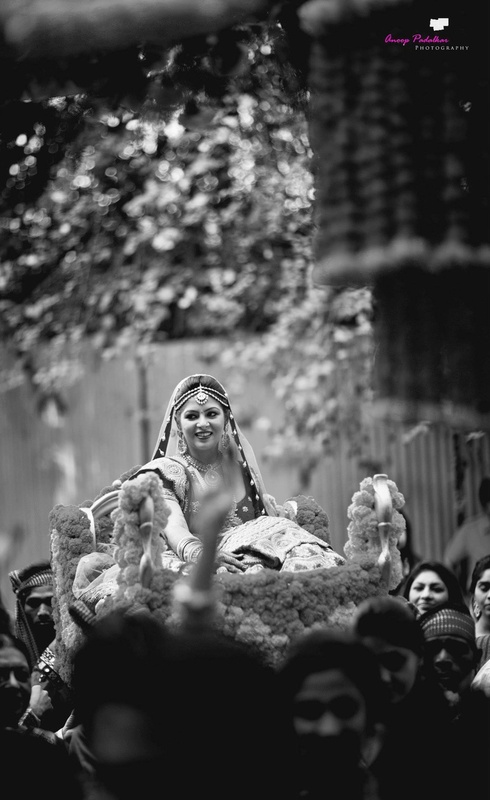 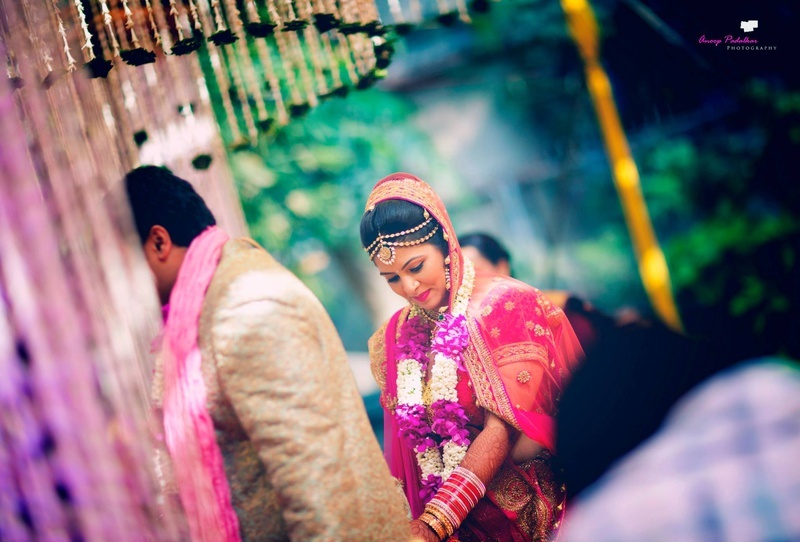 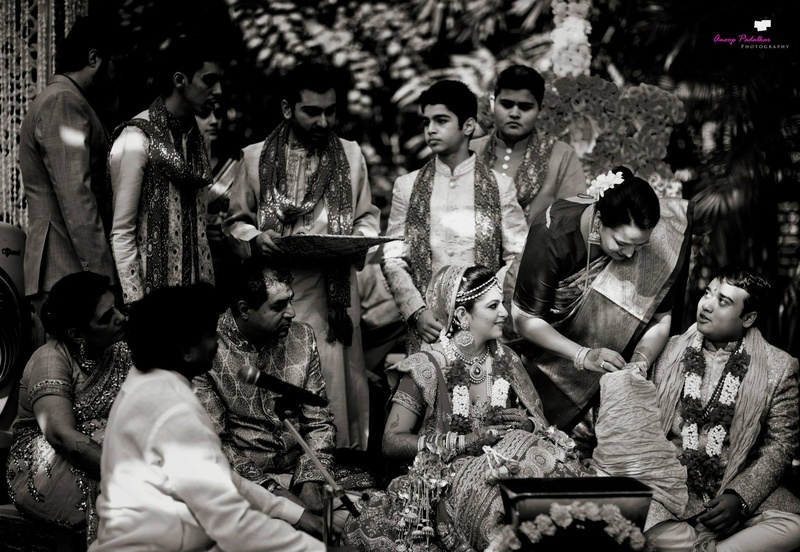 Each piece of jewellery she wore complemented her bridal ensemble brilliantly! 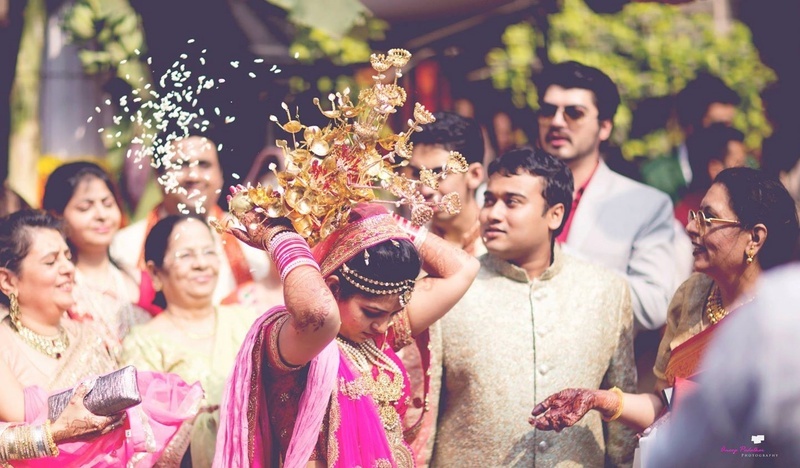 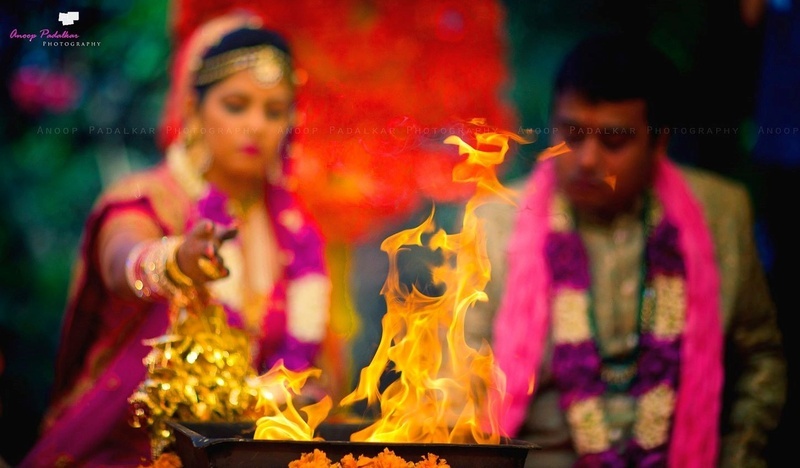 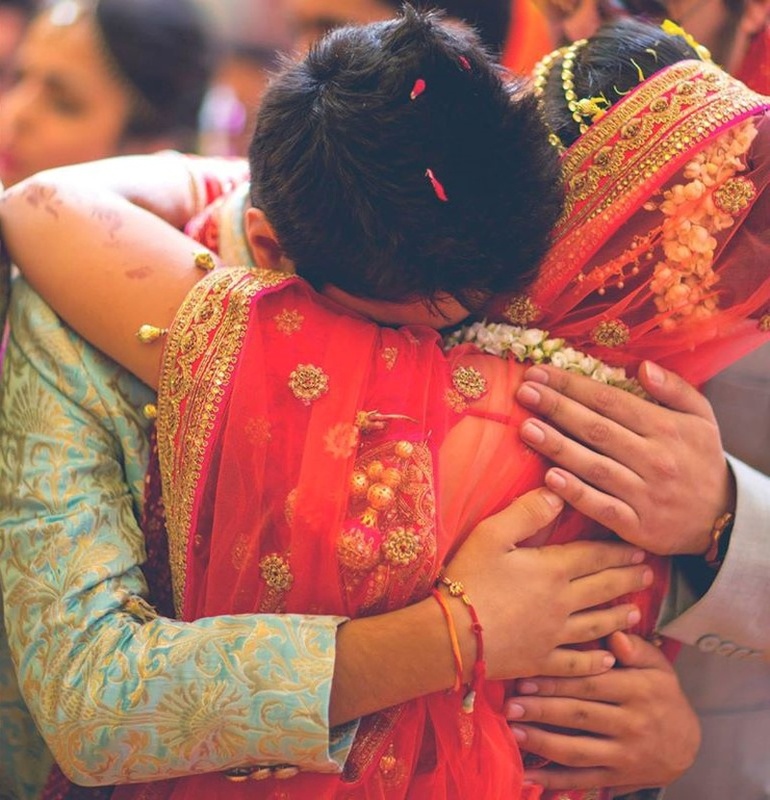 (name of photographer) shot this joyous union with great precision and style, capturing every happy moment with its truest feelings!